Not Secure - That's what your website will say without SSL. How many visitors will you lose with that type of warning on your website? We believe SSL should be free for everyone and easy to install. Through our partnership with Let's Encrypt, all domains and subdomains at NameHero have SSL certificates installed automatically. Unlike our competitors, we don't try and upsell you or require any complicated installations. It just works! We don't own or rent old school traditional dedicated servers. 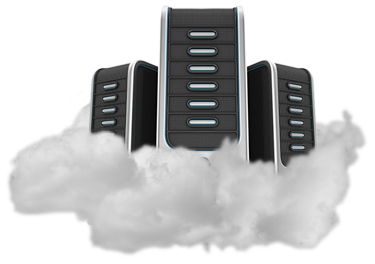 Every hosting package is deployed onto of our blazing fast high speed cloud! In addition, our cloud is build using Solid State Drives (SSD) protected by Raid 10 for high redundancy and data protection. We also use LiteSpeed Web Server, which is up to 10 times faster than Apache (what the "other guys" use) and MariaDB. Say hello to ultra fast load times! We know the Internet doesn't take breaks. Downtime costs you money and your website needs to be online 24x7x365 in order to serve it's primary purpose. That's not something we take lightly. Our cloud has been built specifically with high availability and redundancy in mind. Leveraging software such as CloudLinux we're able to isolate the number of resources per user on our nodes and quickly mitigate issues. Ready to jump out of the swamp? We make moving over from other web hosts simple! As long as your current hosting provider uses cPanel, we can migrate your website over for free within hours. Within the first 30 days of your account we provide 10 complimentary cPanel migrations; perfect for Resellers! If your hosting provider doesn't use cPanel, contact our sales team and we will provide you a quote within minutes. Say see ya later alligator and come on over to the Heroes! All I have done is pay , I don't know anything about this yet! Don't know to much about internet & web sites , this one promised to build a site , host site, free Seoul, storage etc. So far, response from staff to my pre-sales questions were fast and helpful. I am glad to see such fast response times. Looking forward to good times with DZ4Host. They had a very fast response time and solved any issues immediately. My Website looks and performs great! Help your business grow with DZ4Host hosting. We offer an affordable way to take your business or idea online, quickly and easily.We make it simple for individuals and small businesses to create a professional online presence. Don't worry about the technical stuff; our platform is easy to use and includes everything you need...Read More.. Copyright © 2019 DZ4Host.com. Bütün hüquqlar qorunur.